The rapidly growing vehicular traffic on Indian roads, the implementation of mass transportation systems, the need for collecting traffic data, controlling congestion on roads and enforcement of traffic rules have made Intelligent Transport Systems an important vertical of Indian traffic management scenario. Over the last five years, India has seen the deployment of Intelligent Transportation Systems in multiple traffic management tools: Road intersection control, incident detection, road sensors, speed enforcement, toll revenue collection, vehicle weighing, vehicle classification, RFID, individual vehicle management, infotainment, public transport information, vehicle tracking and many more. 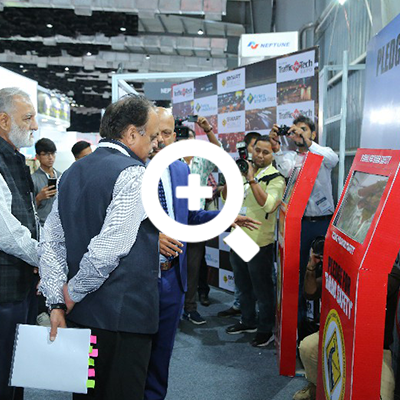 Indian ITS market is growing and the increased number of ITS exhibitors, both national and international, at TrafficInfraTech Expo has been reflecting the country’s focus on road safety and traffic management. Globally too, ITS market witnessed substantial growth over the last five years. It is further expected to grow at a CAGR of over 11% during the coming years. In India, the growth is influenced by the Government’s focus on technology-backed infrastructure, development of mass transport systems, integrated transit systems in Smart Cities, fast highways & industrial corridors, intercity fast trains and advanced traffic management systems for individual cities. Government of India’s investment plan for 2012-2017 is US$1.3billion. The National Transport Policy of the Ministry of Road Transport and Highways underlines the importance of ITS technologies (electronic tags and automatic toll collection). The rapid increase in urbanisation demands for better infrastructure. These includes Automated Parking Systems, Electronic Toll Collection, Travel Information, Signal Control, Smart Cards, Integrated Ticketing, Traffic Violation Detectors, Communication and application for Global Navigation Satellite System. Increase in the number of accidents, rising vehicle thefts, security issues while travelling and the demand for navigation services are contributing to the demand for telematics applications. And hence, the Indian telematics market is on a growth path offering high potential for the technology providers. Asia’s largest & only expo on traffic management. Largest gathering of government & corporate professionals. Exclusive meeting opportunities with key decision makers. Platform to identify potential partners in India.